Collects Marvel Spotlight (1971) #3-4; Werewolf By Night (1972) #1, #3 And #15; Tomb Of Dracula (1972) #18-19; Marvel Chillers #1-2; Avengers (1963) #185-187; Doctor Strange (1974) #59-62, #67 and #81; Thor (1966) #332-333 and material From Dracula Lives #6; Amazing Spider-Man Annual #22; X-Men Annual (1970) #12 and Doctor Strange, Sorcerer Supreme #9-13 and #15. Learn the hidden history of Marvel's most terrifying tome! Penned by the elder god Chthon and containing the blackest of magic, could the Darkhold be responsible for the Werewolf by Night's curse? Jack Russell's quest for the truth leads him into conflict with…Dracula! 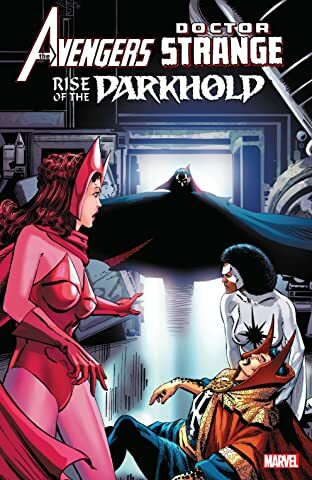 Modred the Mystic dared to learn the Darkhold's secrets, but he spells trouble for the Avengers when Chthon chooses Scarlet Witch as the vessel for his rebirth! 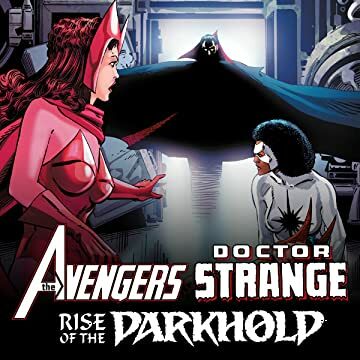 And Doctor Strange attempts to use the Darkhold to destroy all vampires — as Thor battles Dracula!